Part of the Alaskan constitution protects people’s right to privacy, which had protected people’s use of marijuana before 1998. In 1975, a lawyer Irwin Ravin had himself deliberately arrested while carrying marijuana on him. He did this so he could challenge the existing Alaskan laws in the law courts. In the court case Ravin v the State, the Supreme Court ruled he had the right to cultivate, they are carry, have and use small amounts of cannabis in his own home. While Alaska has become one of the most progressive cannabis laws, they can be confusing. 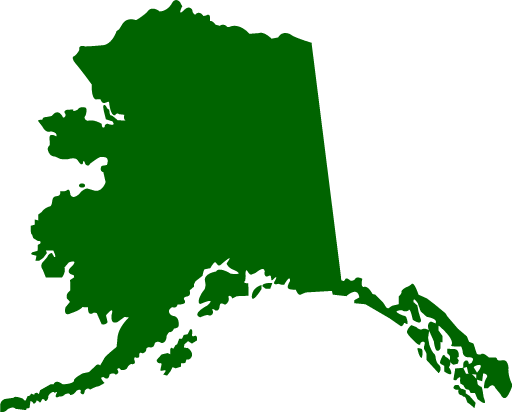 Alaska legalized medical cannabis on November 3, 1998. People who qualify for the medical cannabis card can have 1 ounce of cannabis and grow up to six plants at a time. But, only three of them can be mature and flowering at any one time. A ballot in November 2014 legalized recreational marijuana in Alaska for people aged 21 and over. This allows adults to possess and grow the same amount as people who can use medical marijuana. This also made cannabis manufacturing, selling and having cannabis equipment legal in the state. This ballot also allowed for a Marijuana Control Board to be set up. In 2015, the control board approved using cannabis in in retail shops. This made Alaska the first state in the US to open cannabis cafes like the ones in Amsterdam. The first one opened in 2016. Using marijuana is illegal. It can get you a $100 fine and travellers need to know you cannot use it in public. The fine is like a traffic ticket and is not a criminal charge. This can be difficult for tourists who want to partake in using their favorite herb for relaxation. But, they can smoke in one of the cafes and many accommodation places. You can use edibles anywhere on private property as there is no way of knowing if that chocolate bar contains cannabis or not. You may be better off sticking to the edibles when traveling. Driving while stoned is the same way as driving under the influence as alcohol according to the law. So, it is not recommended. But, you need to know your rights. When someone suspects you of driving stoned, you do not have to agree to a test for marijuana. There is no penalty for saying no as the law says you have to agree. The only time you must submit to a chemical test is when there is a serious car accident where people get hurt. When this happens, you must give a blood sample to test. Alaska has many retail outlets that sell cannabis with more opening all the time. You need government issued proof of age from any country in the world, like a driver’s license or medical marijuana card to buy from them. Topicals are massage oils, lotions, creams and that sort of thing infused with cannabis. These will not get you high but they are good for a lot of medical reasons and for your skin. Concentrates are the essential oils extracted from the plant and are often very potent. You can buy the seeds of different marijuana strains to grow your own plants. Edibles are foods like chocolate, candies and beverages infused with cannabis. They are often very strong so check the labels for how much to use before taking them. These can take up to an hour before you feel the effects so use them according to the instructions. Clones are healthy seedlings you can grow at home. You will need to visit a store to buy your weed, as having it is illegal to have it delivered. If caught delivering under an ounce it is a Class A misdemeanor. And, a Class C Felony for delivering more than an ounce. This applies even if it is a gift or a friend picks up your supply. Avoid using any of the delivery services if you want to stay out of trouble. Support the legal stores who pay taxes. These tax dollars support worthwhile community projects across Alaska.